There are many types of bicycle available, each with a different purpose and range of features. If you are new to cycling - or returning to the saddle - it can often be a bit daunting making the right choice from the growing number of options and price points on sale. Your local cycle shop is the best source of advice and information to assist you in making the right decision and of course nothing can substitute sitting on a bike and giving it a test ride to decide if its right for you before you buy. 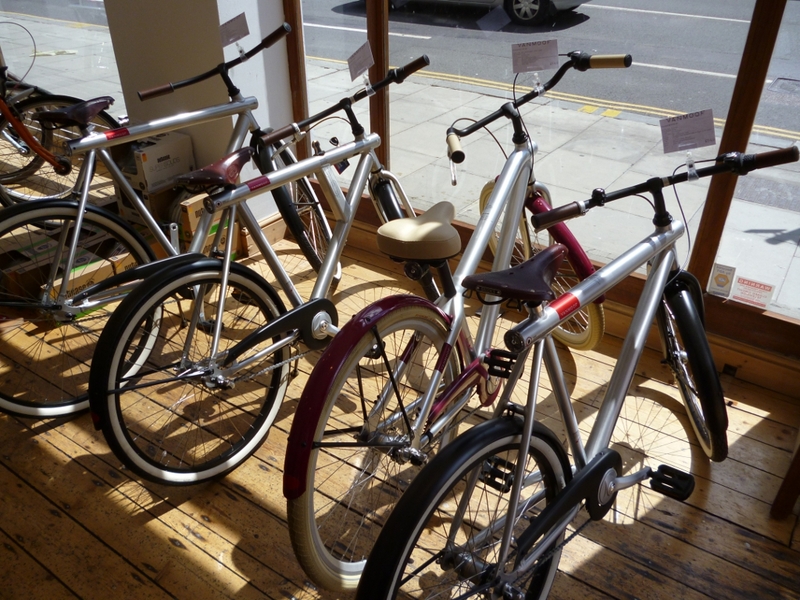 Click here to see what Guardian journalist Helen Pidd has to say about buying a bike and the importance of shopping in an independent cycle shop in an extract from her book - The complete guide to everyday cycling . Q. What type of cycling will I be doing? A. To get the most out of your bike and enjoyment out of the experience, think about what type of cycling you will mainly be doing. Cycling for transport - such as to work or the shops. Cycling for leisure - such as along local cycle paths, forest routes or mountain biking. Cycling for competition - such as road or off-road racing. A. You get what you pay for and never more so that when it comes to buying a bicycle. Try and get the best you can afford because it will ultimately be a better investment in terms of quality components, features, durability and ride. We generally suggest that a budget of around £250 is really the starting point for a quality adult bicycle for general leisure / transport use. Further information on how much to spend can be found here. Q. Where are you going to store it? A. Will it be stored inside your property or do you have a secure place outside the property where the bike is not going to rust and decay? If you do not have a secure, weather-proof place we recommend not to leave it outside. Q. Do you want to be able to carry stuff on your bike? A. If you want the bike to take your heavy luggage instead of wearing a backpack you will need a bike that can take a rear or front rack. Not all bikes can accommodate these things. View our list of the different types of bicycle here which may help you to identify the best bike for your needs.